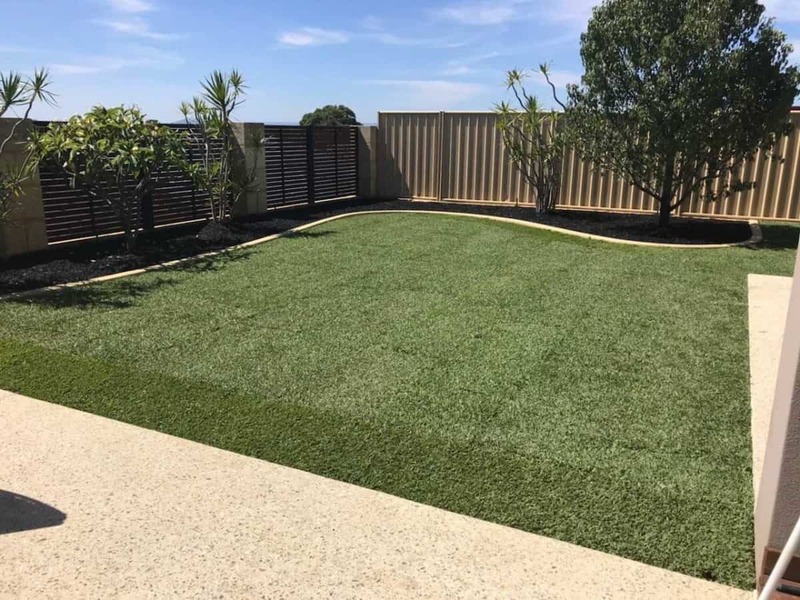 Turf Installation | Backyard Landscaping | Looking Good Landscaping ""
A clean and green lawn is a feather in any homeowners cap. Not only does a grassy open space look lovely, it’s a safe soft place for children to play and pets to relax. 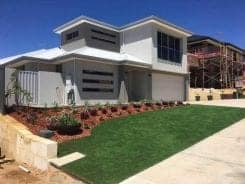 Looking Good Landscaping is an expert at turf installation. Our passionate team has over 20 years of experience in backyard design and landscaping. We have the knowledge to create a design for you home that will suit your needs and your environment. 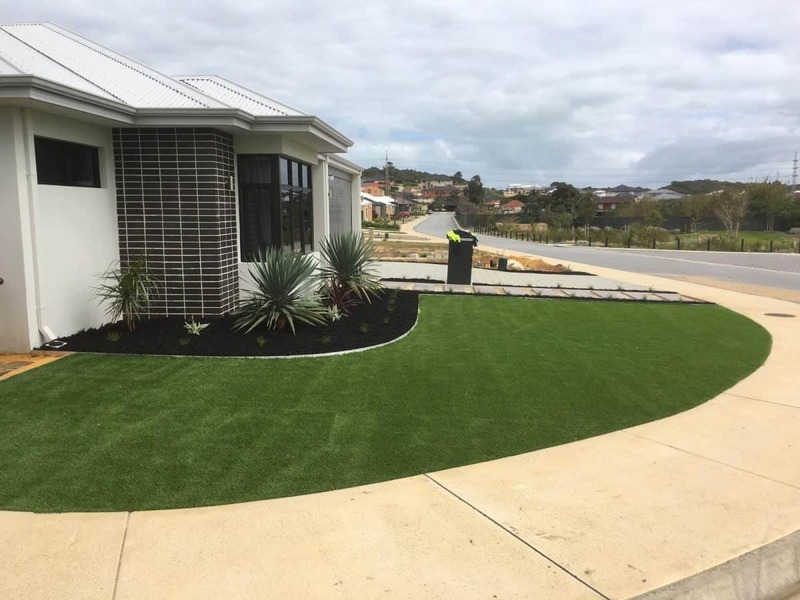 We strive to create a lawn that is as beautiful as it is functional, and can design and install turf for both residential and commercial projects. 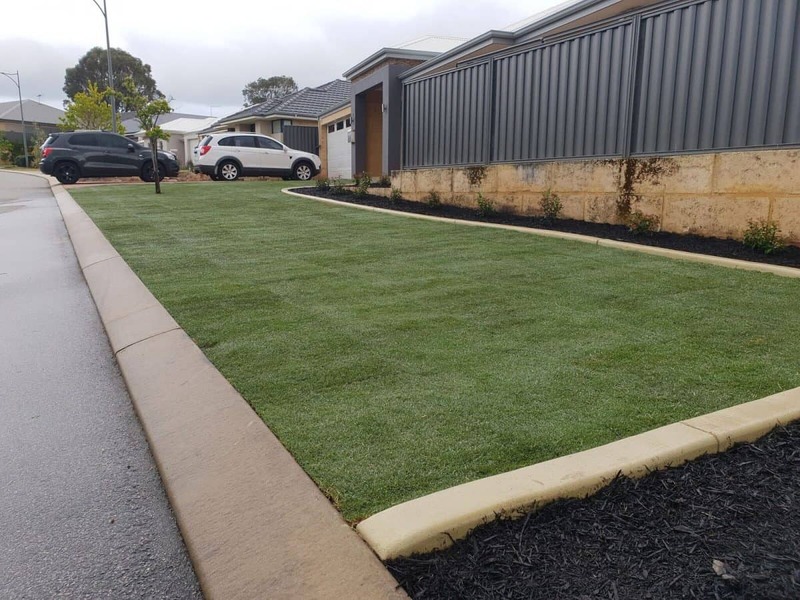 In addition to the innate beauty that a crisp green lawn provides, the installation of roll on turf provides several benefits for you and your home. 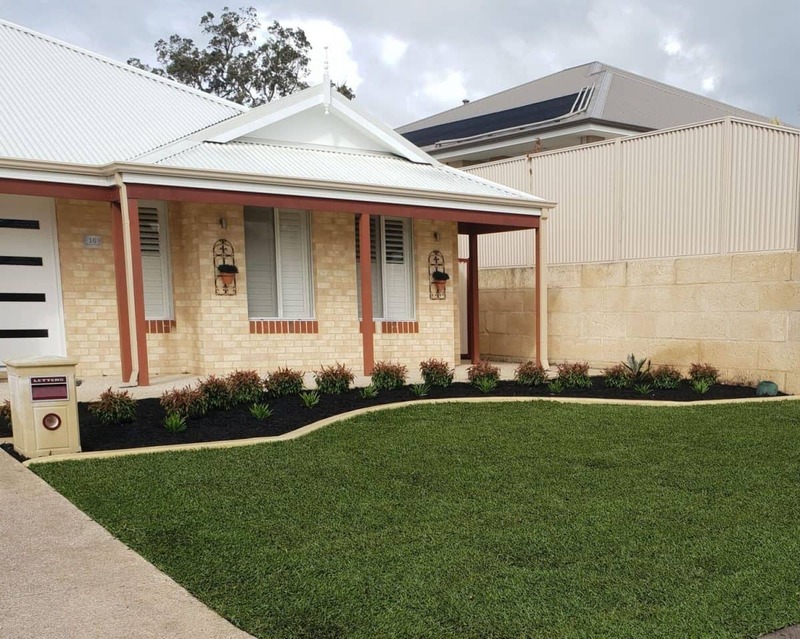 A green lawn is the perfect space for a family to relax and enjoy time. Barefoot children can safely play together, and older kids have a space to kick the footy. Lawn absorbs the heat, keeping your home cool, as well as limiting dust and other allergens from blowing around your property. 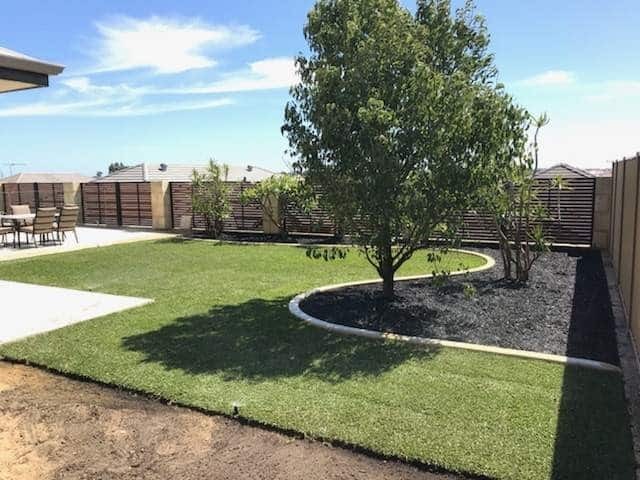 The temperature of natural green grass in mid-summer is 10% less than bare soil, 20% less than concrete or paving and 40% less than synthetic artificial turf. The growing of green grass creates a lowering of the ambient temperature. 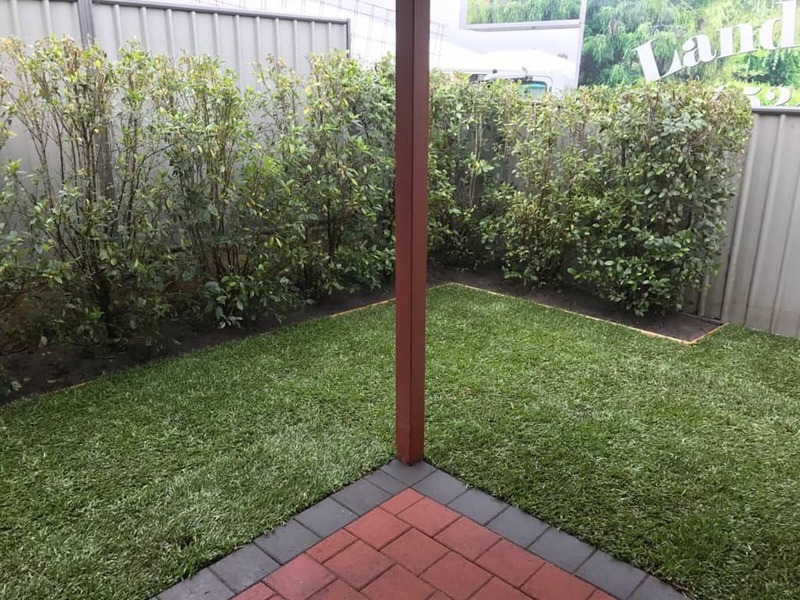 When looking to cover large spaces, turf is a very cost effective option when compared with alternatives such as pavers. Homebuyers also value a well maintained lawn, and are willing to pay more for a house with a lawn. 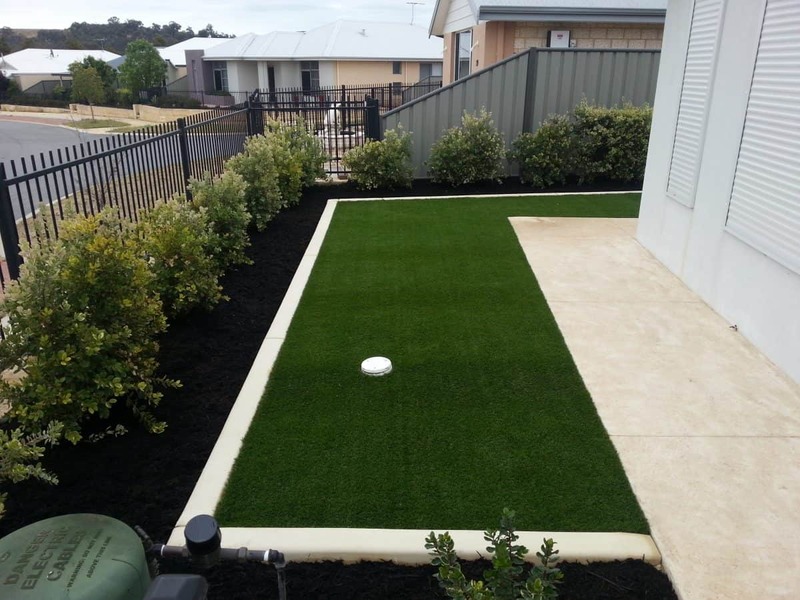 Not only does installing turf give you upfront saving, but is a valuable investment towards your property. 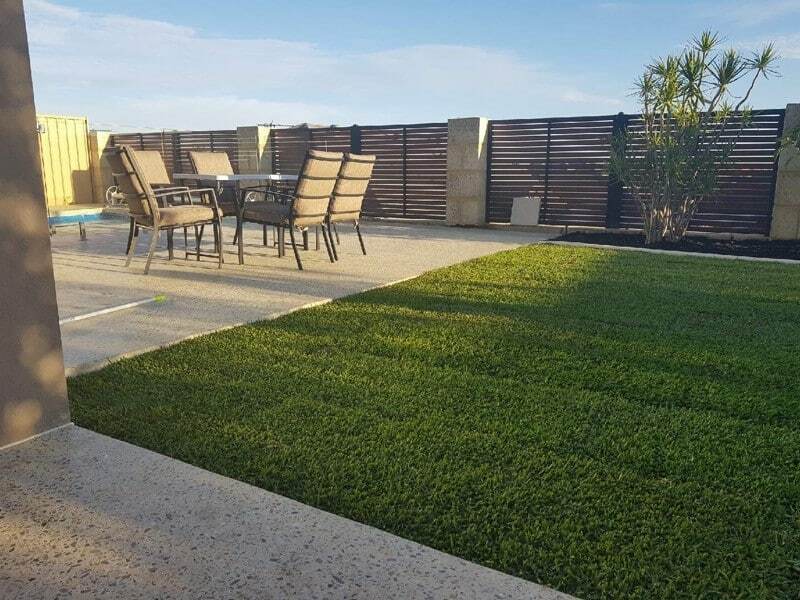 We have decades of experience installing turf in both residential and commercial settings. Each landscape design is custom tailored to your property, in order to meet your needs and budget. There is no job too small or too large for the team at Looking Good Landscaping. We will evaluate your property and create a bespoke design. 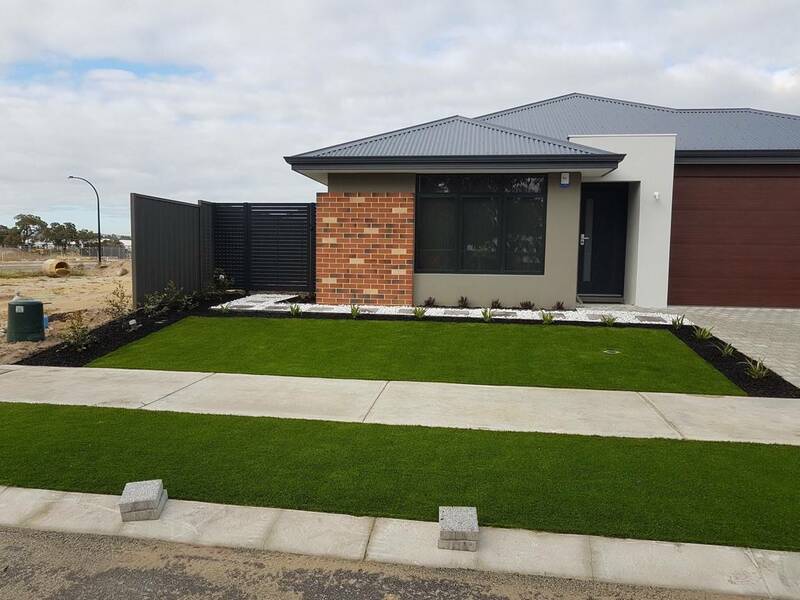 Our tradesmen use professional equipment to prepare the site, installing reticulation, soil improver and preparing final levels before then installing the turf. We provide exceptional service and create a lawn that will continue looking as good as new for years. Palmetto Soft Leaf Buffalo – This is a low maintenance Buffalo grass, with excellent shade tolerance, and drought and cold resistance. Soft underfoot and emerald green in colour, this is one of the most popular choices. 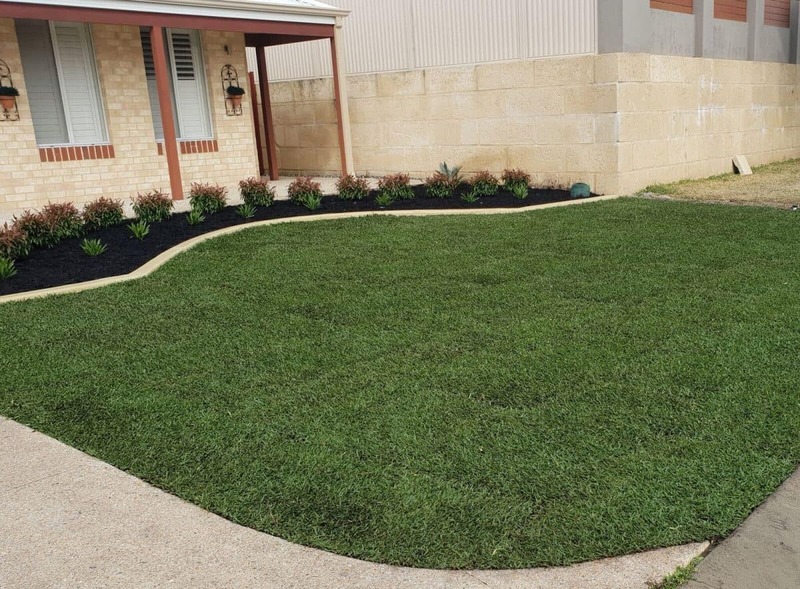 Sir Walter Buffalo soft leaf buffalo – This is a low maintenance shade tolerant Buffalo grass, well suited to the Australian environment. 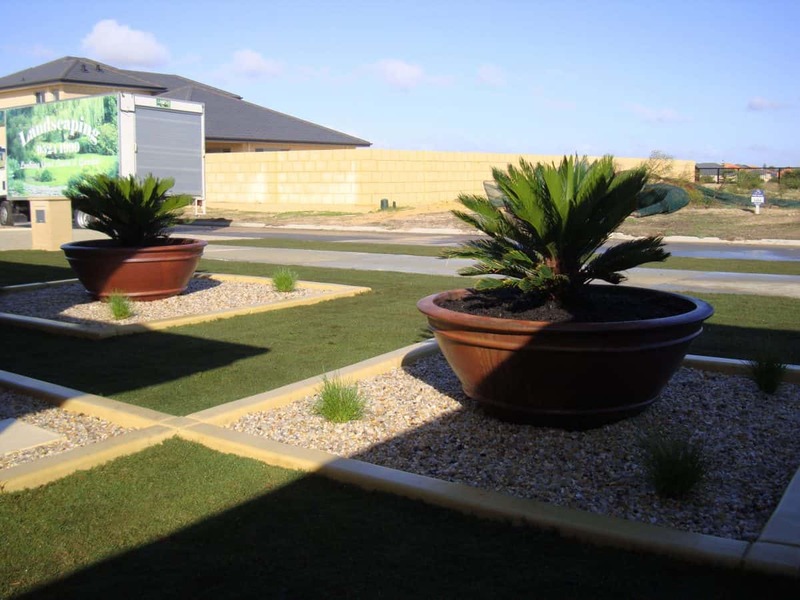 It is tolerant to high salt watering, a good consideration for bore reticulation systems. It requires relatively low watering, fertilisers, and mowing compared to other lawns. 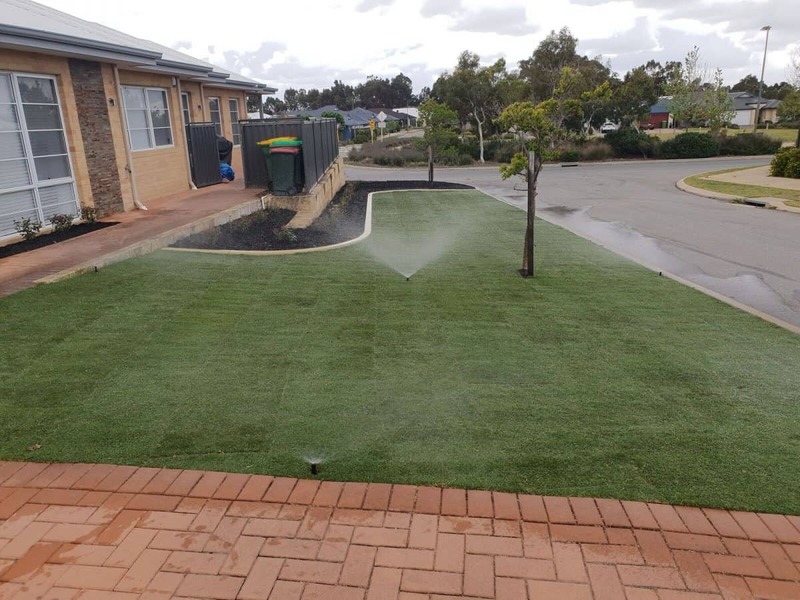 Village Green Premium Kikuyu – Developed for Australian conditions, this grass maintains vibrant colour and dense coverage throughout the year. With a quick establishment of the root system, this lawn can tolerate high traffic use and is preferred for sporting fields. 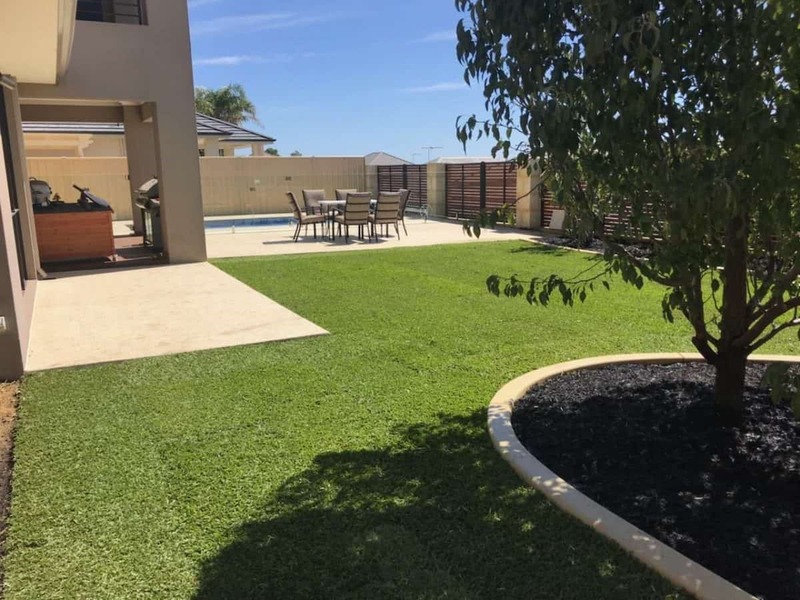 Winter Green Couch – This affordable grass is very hard wearing with a fine green colour. 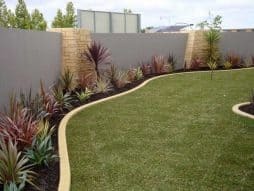 This lawn is best suited for lawn-only spaces, as its invasiveness means it will can easily spread into adjacent garden beds. Santa Ana Couch – This grass has the finest leaf of all couch varieties, making it the preferred choice for golf courses and bowling greens. It is very invasive, hard wearing, and relatively high maintenance. 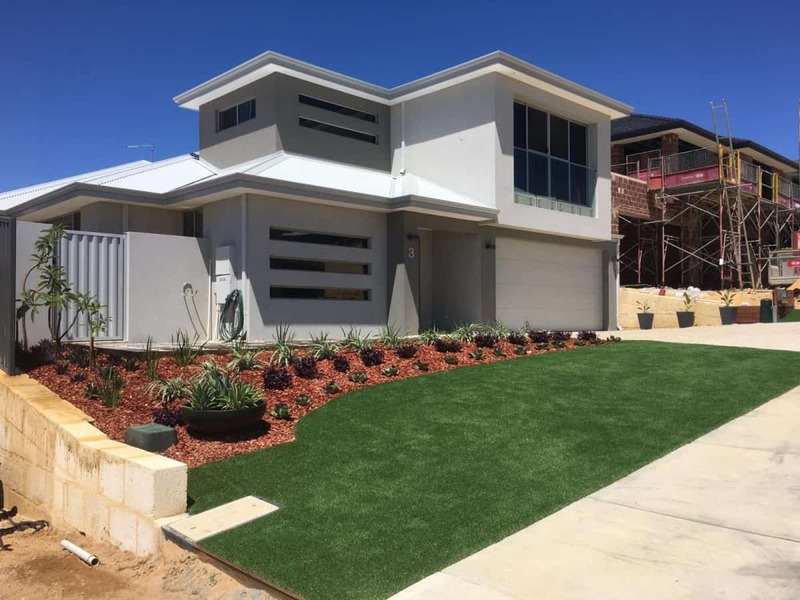 Looking Good Landscaping has the skills and experience in turf installation to create an outstanding lawn for your home or business. 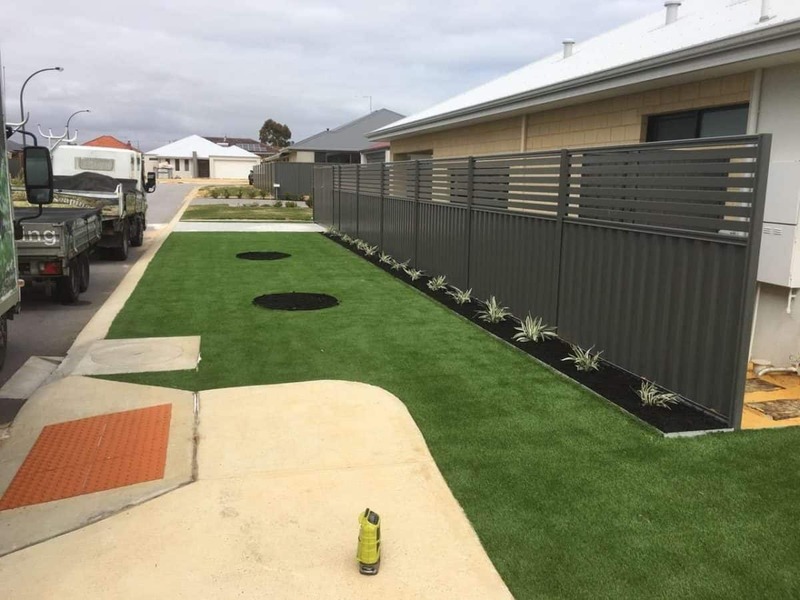 We provide exceptional work in all settings, from commercial verges to backyard landscaping. 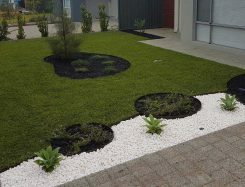 Contact Looking Good Landscaping today to arrange a consultation and discuss turf installation for your property.